This was a hairdryer in a hotel I stayed at recently in Belgium. When I first walked in I thought to myself...what in the world is this? I had no idea!!! That is by far the strangest thing I have ever seen. But... I like trying new things...so I did....and I thought it might be a super duper turbo dryer or something that might dry my hair only in seconds... not the case. It had no power at all. 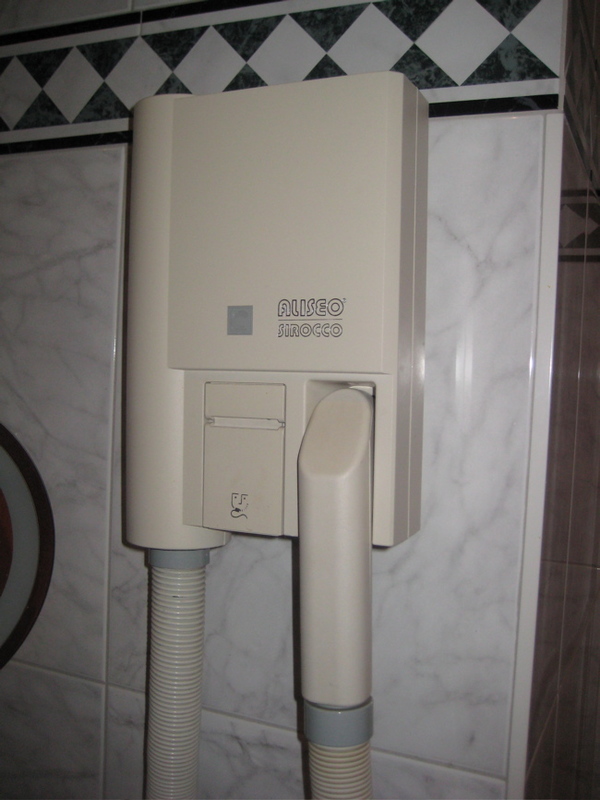 But I had to whip out my camera because I do not in my lifetime want to forget the strangest hairdryer I'd ever seen. Yup. Those are wheels. AIrplane wheels. Now you might be thinking why is this so unusual? We all know that airplanes have wheels...well...here's my thought. An entire, HUGE airplane is going to land on those small, little wheels??? I mean...I know they are actually pretty big wheels...but a massive 747 boeing something or other is going to land on those. Really? That's it. Wow. As you can probably tell I am way to much of a child to just stand next to the wheels for my picture...I had to climb on them...even with my peppermint mocha from Starbucks! 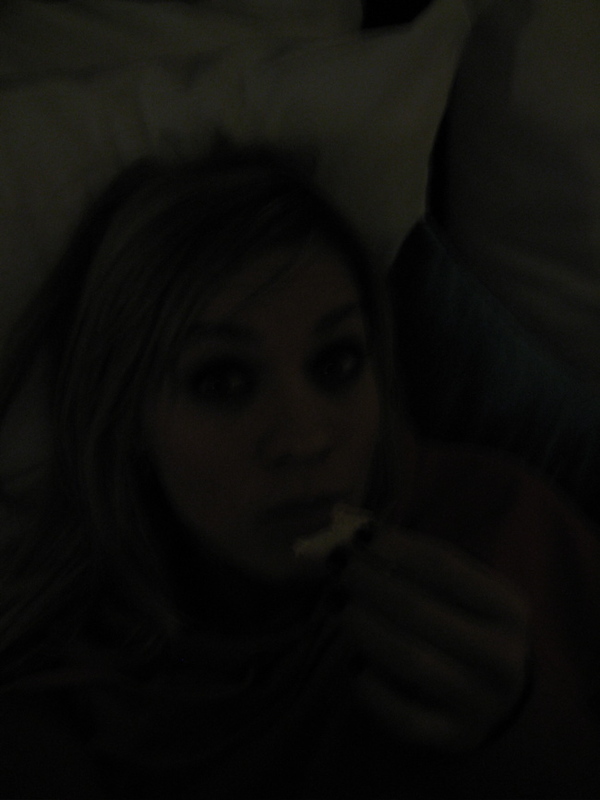 This picture is not the best quality of sorts but I want to share my new found love for a peanut butter and fluff sandwich. Fluff, also known as "mallow" to some, comes in a medium sized jar, generally with a bright red lid--it's a spreadable marshmallow creme and it's the BEST! The picture above is of a real "fluffernutter." 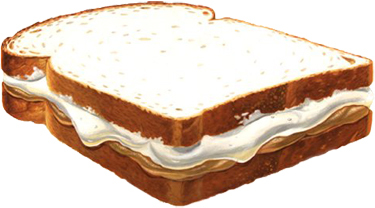 Some grew up eating these sandwiches on many occasions...I did not. I stuck to the usual peanut butter & jelly, or some sort of meat & cheese. Never was the fluff apart of my stuff. Haha. But it is now...and I love it. Guys--it's time for me to come clean. I never thought the day would come...but it did. I wore the "skinny" jean with converse. You might be laughing right now because this has been a popular trend for some time now--but I never liked it. I didn't understand why all of a sudden a pair of flare or bootcut jeans were just not as cute. I mean I think the "skinny" jean idea is genius for when you have on boots...but I could never do it with normal shoes on. But on this day...I did. I guess I just don't like the name of them either..."skinny jeans." I am giving the big VETO to the name... I'll be thinking of another name for them. 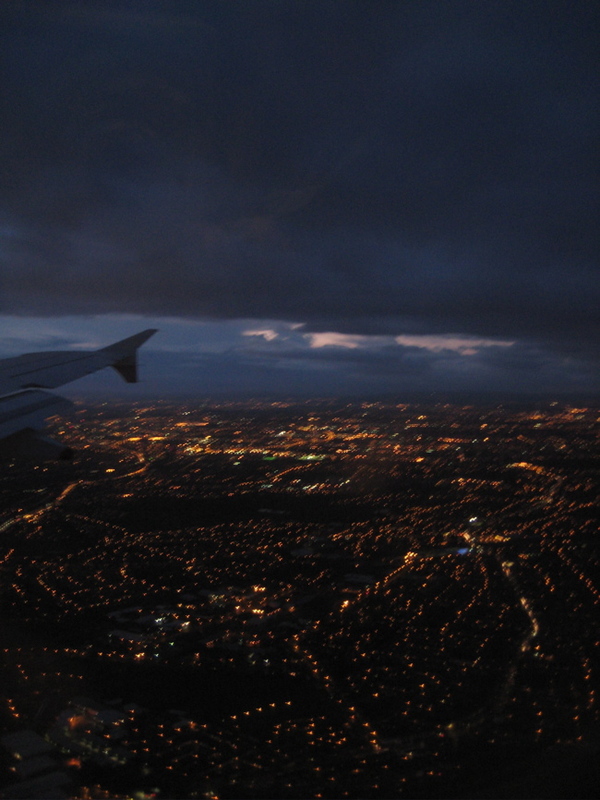 Flying at night. I love looking out the window and seeing all the lights. It's one of my favorite things ever. Newer PostBlogging like it's 1999.